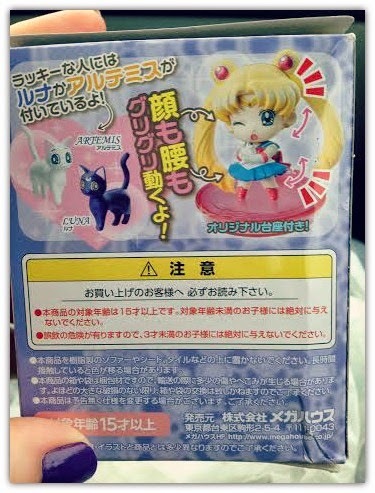 Enchanted Excurse: Moon Tiara Magic! Afternoon Loverlies! I have been trying to get into different animes and mangas a lot lately, because my hubby loves watching and reading certain ones. I wanted to get into something that he is interested in so that when he watches these cartoons maybe I would enjoy them also and we could watch together. He does a lot for me so why not give back eh? That is what marriage is I believe, you love that someone so much you want to do what they want to do. I am very thankful for him! He wanted pizza for his birthday yesterday, so we decided to go to Pasta Fina in Searcy, Ar. This is a newer restaurant, I believe it has been open for a few weeks now. I like it because their noodles taste fresh like they made the noodles themselves. You never want to go out to eat and have them serve you non fresh frozen food, that you can easily just cook at home. We ordered the Pasta Fina Special pizza and it was delicious. 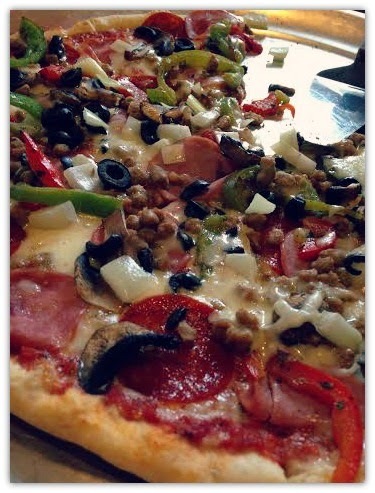 We have had their white pizza before also and it is delicious, along with their other food. 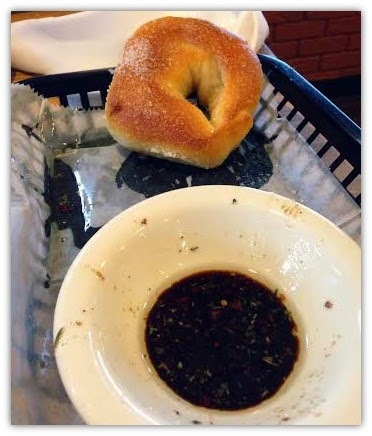 They also give you this delicious bread and olive oil mixture to dip it in while you are waiting on your food. The service seems pretty decent, but the one complaint is the bathrooms. They should have fixed them better before opening, because one of the stalls were out of order and there was no soap. Luckily I had my antibacterial hand gel with me. I took the pic after we ate most of the dip for the bread. lol there is more olive oil they give you. 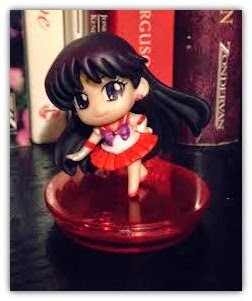 The other day I found at hastings Sailor Moon COLLECTIBLES! I was so excited I just had to grab one of them. 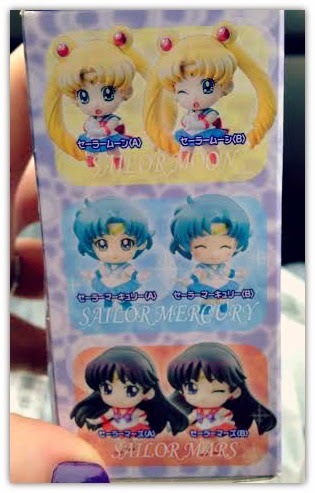 I wanted Sailor Moon or the little kitties, but I got Mars. I am alright with mars though, she is also cute! 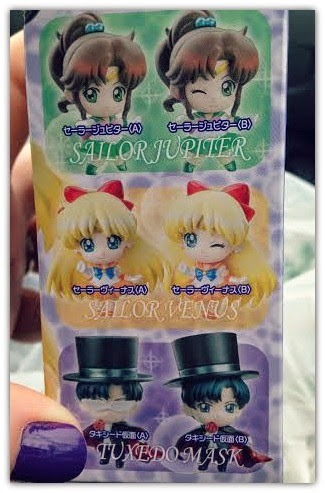 I just love these little collectibles I have been finding, they are so cute! 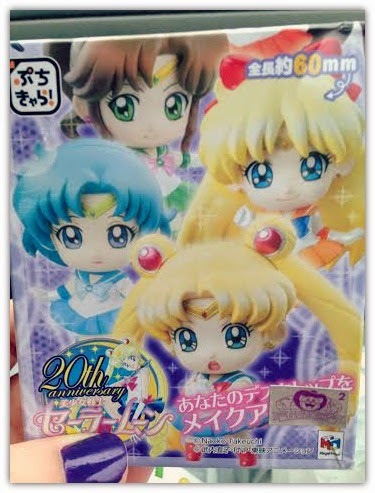 I am ready for the Sailor Moon show to start, I am also hoping it will be where I can view it. We just have to wait and see. lol :) On another topic I have been listening to Kyary Pamyu Pamyu a lot lately. I like watching her videos because she has the cutest outfits and props. Well enough of my rambling today, I hope everything is well with y'all!